TEA BREAK is going to be a Yumi's new full-length work, combining dance, spoken words and multimedia. 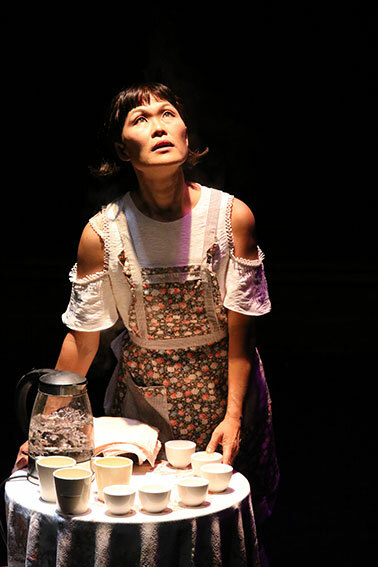 Blending Butoh, Tea and visual theatre, Yumi explores the space between rituals and daily routines of drinking tea. 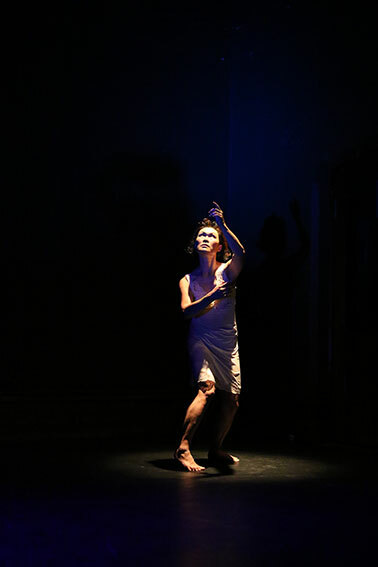 She shifts into the abstract and experiments with the forms and structures of tea ceremony, moving from the sedate to the dramatic, real to surreal, and playful to macabre, a journey into life and death, evoking the spirit of Butoh. TeaBreak, 30 min solo dance version, was shown in March 2017, as a part of Evocation of Butoh in Asia TOPA, and creative next development for visual elements will be in 2018. To find out more about showing this work, get in touch with yumi.